Dr. Vadim Spivak is a happy husband and a father of an awesome daughter Felicity and fabulous son Aden. He has earned his Bachelor’s Degree in Biological Sciences from SUNY at Buffalo. He then went on to complete his dental training at the prestigious SUNY at Buffalo, School of Dental Medicine in 2002. He has completed an advanced training in dental implants and dental implants restorations. Dr. Spivak is dedicated to providing you and your family with the latest in general and cosmetic dental care. 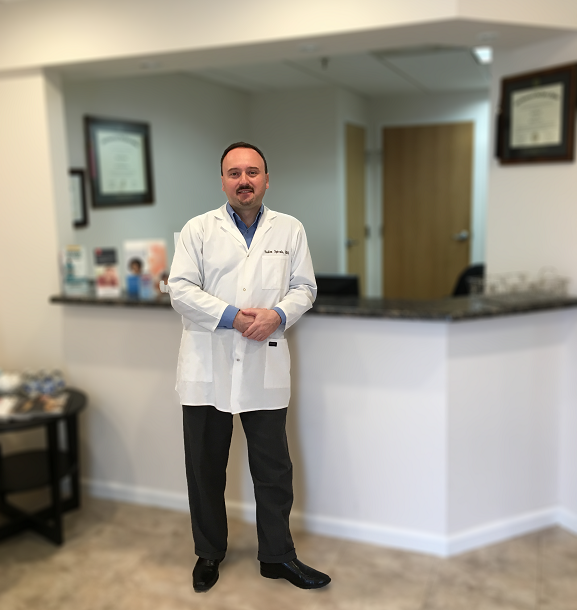 In his free time, Dr. Spivak loves to spend time with his family, cooking and traveling.